Riding with friends is one of the aspects of motorcycling you enjoy most. You and your significant other have begun to ride with two other couples you met at a local rally. 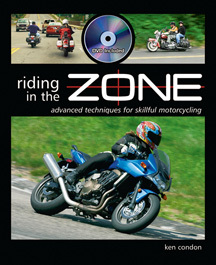 You’ve ridden with them a handful of times before and you were happy to discover that each rider’s skill level and attitude toward safety are compatible with yours. However, there are times when communication broke down and problems occurred. One time, you were leading the group into a restaurant parking lot. It was not clear which parking spot was best. When you finally decided where to park, you made an abrupt move that required the others to stop quickly and one of your friends almost dropped his bike. After that episode, you all agreed to maintain more distance between each other and to stop if the leader’s motives are unclear. Today, you and your friends are on a leisurely ride to one of your favorite lunch spots. About halfway there, the group stops for gas. You are the first to finish filling up, so you head toward the exit, shut off the motor and wait for the others to join you. Once the other two bikes are ready, you thumb the starter and place your motorcycle into gear. You plan to go left out of the station. You look left and then right. The only traffic in sight is a slow moving truck approaching from your right, and behind the truck is a long line of cars. Because you don’t want to get stuck behind this parade of vehicles you decide to go, even though you must hurry. You release the clutch and accelerate away, assuming that your buddies are right behind. Suddenly, you hear the blast of a truck horn and the high-pitched sound of truck brakes. 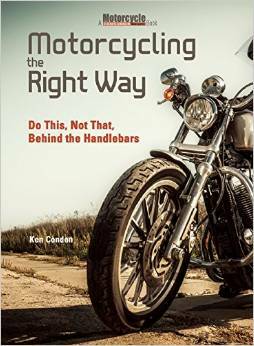 You quickly glance in your rearview mirror to see the third bike in line barely avoid being run into by the truck. It appears that your friend did not have sufficient time and space to enter ahead of traffic. You are relieved that no one was hurt. Leading requires you to take into account the other riders in the group. You learned this lesson earlier from your experience in the parking lot, but you did not consider the fact that it also applies when entering a roadway. Sure, you had enough time to go, but you did not judge the amount of time it takes for two additional motorcycles to get underway. It is time to implement another rule, one that stresses the importance of being conservative when entering traffic, even if it means waiting longer or getting stuck behind slower vehicles.